On Friday morning 22 February you can enjoy an extra Silence concert between 8 am and 9 am. Together with Sonic Acts, the Oude Kerk organizes a morning concert with an hour of contemplative music during the Sonic Acts Festival 2019, inspired by the sound installation The Instrument of Troubled Dreams by Janet Cardiff and George Bures Miller. 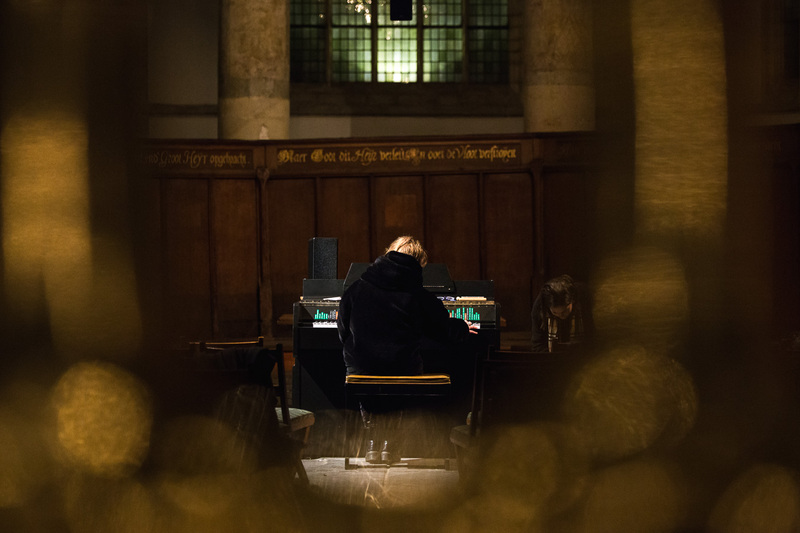 Inspired by the sound installation The Instrument of Troubled Dreams by artists Cardiff & Miller, the Oude Kerk has developed a new series of Silence concerts, which sound on every first Friday of the month: December 2018 through April, 2019. The extra concert on 22 February 2019 will be in the choir of the church, directly around The Instrument of Troubled Dreams. An intimate concert with jazz musician and winner of the Boy Edgar Prize Oene van Geel, bass clarinetist Gareth Davis, countertenor Kaspar Kröner and Jacob Lekkerkerker on the mellotron. A meeting between musicians from the Dutch music scene and the aesthetics of Cardiff & Miller.